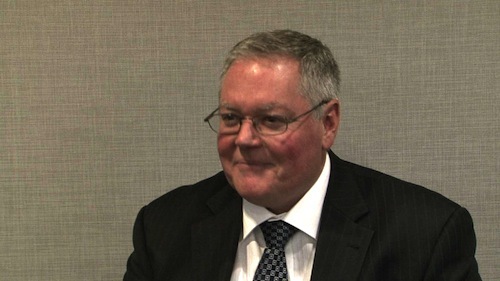 Over the past decade, APRA has focused too much on detailed securitisation rules, says Charles Littrell, APRA’s executive general manager of policy, research and statistics. He told the Australian Securitisation Forum yesterday that reforms were being done to address this – as Australia “largely dodged this bullet” during the GFC, but lessons learned must be captured in APRA’s prudential framework. The GFC shook up the financial world and made change crucial. “There was the surprise that all the complexity in the market, touted in various forums as innovation and completing markets, turned out to be, by and large, simply a way to conceal bad credit risks from end-investors,” Littrell said. “From, say 2007 to 2011, there was a fundamental global re-assessment about the value attaching to securitisation, and much of that re-assessment was distinctly negative. So, like other regulators around the world, APRA intends to reform its regulatory and supervisory approach to supervision. It will take an approach “firmly grounded” in the economics of the relevant risks, and discourage those practices associated with unacceptable risks, said Littrell. “Our aspiration for securitisation under the reformed prudential arrangements is that Australia will end up with a large and active funding-only market. Compliance with Basel Committee requirements, with appropriate Australian adjustments.